At least one person involved was injured, according to authorities. 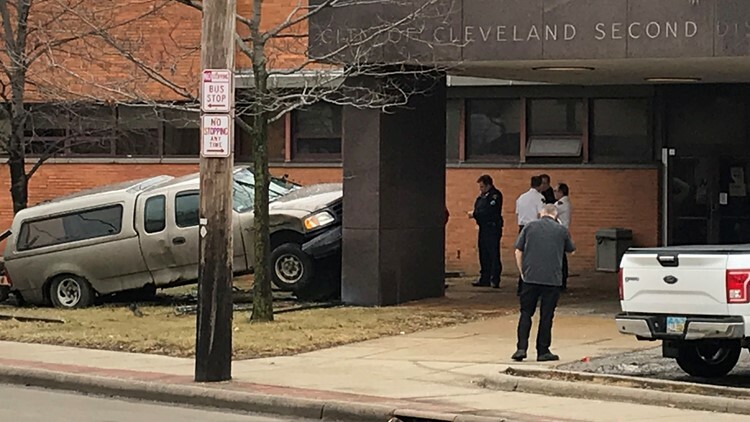 Authorities are investigating after a truck crashed into the front of Cleveland's second district police station Thursday afternoon. Police say the 2002 Ford was headed west on Marvin Ave. when it made a left turn onto Fulton Road, right into the path of a 2011 GMC. The right front corner of the Ford collided with the left front corner of the GMC before the driver of the Ford accidentally accelerated. 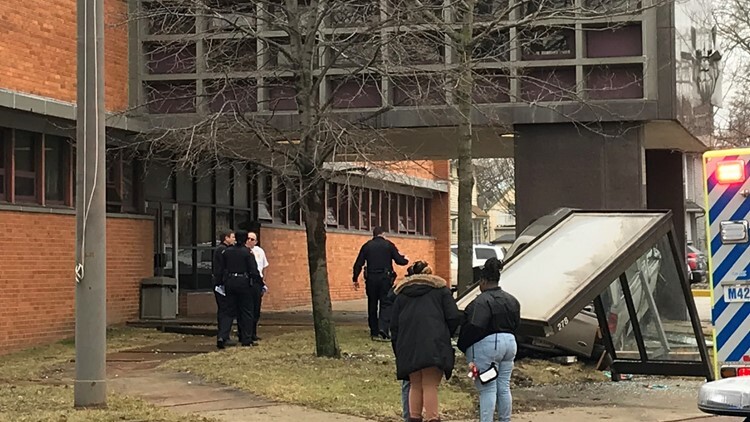 The Ford then went over a curb before crashing into a garbage can then driving through an RTA bus shelter. The truck then struck a tree before finally coming to rest against the north pillar of the police station. At least one person involved was injured, according to authorities. The extent of those injuries is unknown.